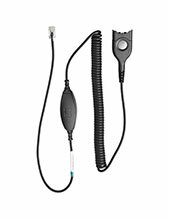 The Plantronics Quick Disconnect Cable is an electronic tool used in order to connect specific headsets to user’s PC. 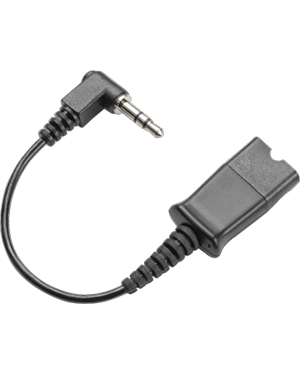 A dual 3.5 mm cable is compatible with Plantronics H-series and P-series corded headsets. 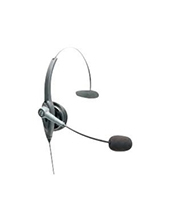 Learn more about this awesome headset through our Australia wide 1300 131 133 hotline! With its major headquarters located in Santa Cruz, California that operates in the global market with the assistance of approximately 5,000 employed experts worldwide, Plantronics takes pride in being a global leader in consumer and business audio communications with decades of experience providing the market with what they need. Established in 1961, the company became part of history when Neil Armstrong used one of its headsets to utter his popular line when he became the first man to set foot on the moon in 1969. While the company has been producing lightweight headsets in 1962 which already put the company on history books, its role in the expedition solidified its reputation in the industry. Plantronics used its decades of operations and its reputation in the industry and market as the company’s pedestal in its innovations and developments. Some offers of the company resulting from this are Unified Communication Solutions. Home and Office Headsets, Small Business Communication Solutions, and Digital Enhanced Cordless Telecommunications or DECT. Headsetsonline Pty Ltd is an Australian online store that offers wide selection of high quality audio and sound devices and solutions. 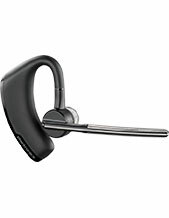 With the influence of one of the best enterprises to offer government sectors and corporate organisations with the most ideal headsets since 1998, the company became excellent in catering to customers’ specific needs and providing the market with their best offers. Headsetsonline is known for high quality products and services. All of the products come from Australian distributors and not grey imports, ensuring the products’ quality through Australian standards certification. Its services on the other hand are products of decades of market study and gathered information, which is how they are able to excellently support customers’ needs in the first place. The bonus of choosing Australian distributors is the fact that warranties offered together with the products are covered Australia-wide, which means that wherever customers are in the country, the warranties will work.